Ramset has designed and engineered the right powder actuated tool for your applications. To ensure you use a powder actuated tool correctly, please take the time to review the Operator's Safety and Operating Instruction Manual packaged with each tool. 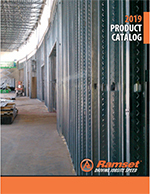 These manuals are also available for download on the Ramset website. To assure safety on the jobsite, OSHA and ANSI require that all powder actuated tool users become trained and certified for the particular tool being used. One way Ramset enables you to receive this training is through our website training program. This innovative approach to education combines interactive web-based training techniques and online testing with immediate feedback to provide you a rich learning environment. The course consists of approximately 30 pages of usage, safety and troubleshooting material. Upon completion of this brief course you will have the opportunity to take an online exam. Instructions for taking these exams are provided at the end of the course. With successful completion of the exam, you have the opportunity to print a certification card. Have you already taken and passed the exam and just need to retrieve a copy of your license? The links below will take you to a form where you can retrieve your license by entering your email address. If you are experiencing issues or have questions about P.A.T. licensing, contact us for support.